It may not be the first city you think of when asked to name a coffee mecca, but if you're traveling to Shanghai, there are plenty of excellent coffeehouses to keep you sufficiently caffeinated. Here is a compilation of eight of Shanghai's best, most relaxing, and most unique cafés—all can't-miss opportunities for your next trip to this vibrant city. Amokka has a big and airy upstairs with comfortable seating. They have a full range of coffees, drinks, and food so you can start with coffee and breakfast in the morning and work your way through to lunch. The coffee is good and the atmosphere is nice. It's also a popular brunch spot, especially for American expats and visitors. When Baker & Spice opened its first outlet on trendy Anfu Road, Shanghai didn't have a good bakery scene and this cool little cafe serving amazing baked goods and excellent coffees was a huge and immediate success. It has now expanded to multiple locations around Shanghai, mostly in big shopping malls. The coffees are decent and they make a super strong cappuccino. Address: Multiple locations (see their website for a list). Café del Volcán is as much of a place to go and buy coffee beans as it is to drink coffee. This small café boutique specializes in its own signature blends and roasts its own beans. The coffees are exquisite and you'll probably find yourself buying bags for gifts to take home. 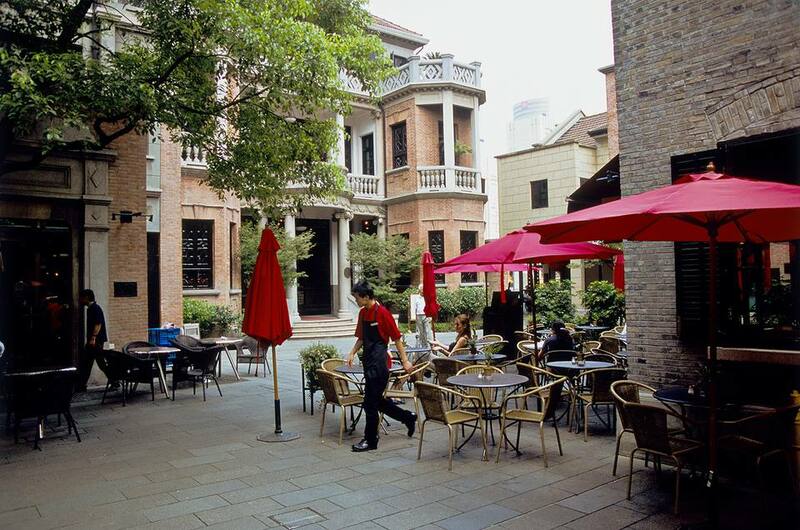 Café Paddy is a tiny but lovely, whimsical cafe in Shanghai's former French Concession. Go for good coffees during the day or nice cocktails in the evening. Rumors is about hand-crafted, exquisite and expensive drip coffee. The Japanese owners bring over beans imported originally to Japan and then roast and drip the coffee per order. The shop is tiny, but the owners are delightful to chat with and there always seems to be someone who can speak Chinese and English if your Japanese is rusty. They take the time to explain the different beans and love to give a whiff of the beans to help with your choice. This shop in the Jing'an District has a variety of mixed coffee drinks to appeal to western visitors, such as mochas, flat whites and other espresso and cappuccino offerings. It's a bit removed from the hustle and bustle and can be difficult to find, according to TripAdvisor reviewers, but most agree it's worth the trip. Located in Shanghai's Huangpu District, this coffee shop is housed in a former newspaper building (which is where its name comes from). Visitors like the brunch menu, which includes many western staples and some local dishes. In addition to coffees, Inno serves high tea as well. This spot is perhaps closest to what most Western visitors may expect from a coffee shop, with bagel sandwiches to go with their cup of joe. It's popular for both a breakfast and lunch option for locals and tourists.